The fog lifted! If it hadn’t peach salsa would have been the brightest thing on the table: just the ticket for a soggy sea side luncheon. Make the salsa an hour (or 6) ahead so it has time to macerate before serving with Savory Corn Pancakes. 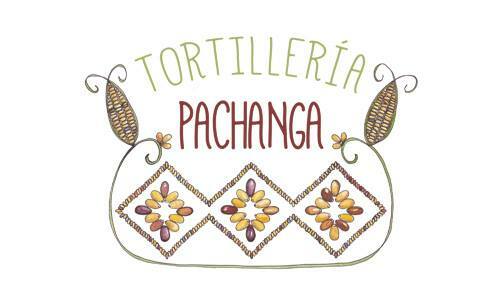 Look for that recipe next week; in the meantime serve the salsa with grilled fish or chicken! 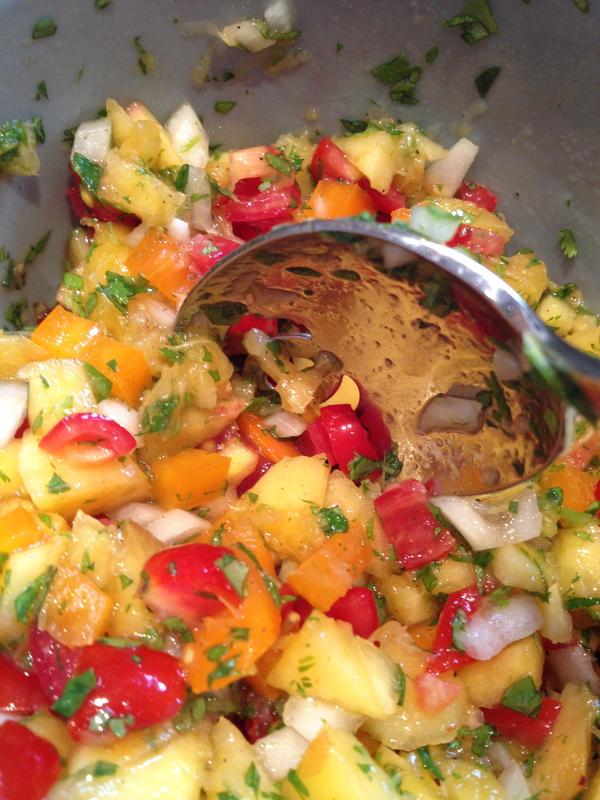 Fresh Peach Salsa – Serves 4; easily doubled or tripled! Fresh ground pepper and salt to taste. Note: This will be delicious even if you serve it as soon as it’s tossed. Substitute mango for the peaches if you prefer. First toss of the beautiful colors and bright flavors! Tags: Fresh Fruit Salsa, Fruit Salsa, Peach Salsa. Bookmark the permalink. What a delightful and ‘summery’ recipe: just right for the weekend! Thanks! We have a peach tree that puts out too many small fruits and my husband refuses to thin them.We have an overabundance of small , hard fruit every year.You BET I’m making some of them into THIS! Thanks! Oh my Goddess, I WILL be making this and I can’t wait — thank you!!! This looks delicious! So great for summer! I WANT IT RIGHT NOW!!! Looks delicious & easy to prepare.